For One (Jerem A Remix)	FullHouse, Funky Good Time (Original Mix)	Felipe Avelar, All God&apos;s Children Got Rhythm feat. Keith Thompson (Original Mix)	Matt Caseli, The Party (Original Mix)	The Cube Guys, Queen Of The Disco (Hazzaro & Jerome Robins Remix)	DJ PP and more. Osheen, New England&apos;s own veteran DJ and producer / remixer is no stranger to the club culture and electronica house music scene. He began his career in the early 1980&apos;s dosing the dance floors of local clubs and rave event&apos;s in the northeast. When the rave phenomena hit in the early 1990&apos;s he took his skills and signature sound of house music out to the masses and quickly became known as one of the premier underground house DJ&apos;S throughout the U.S.. 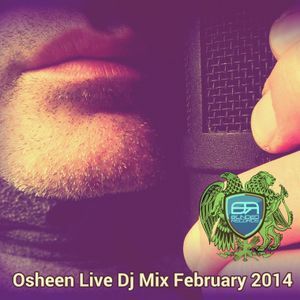 The demand kept growing for his talent as a DJ, leading way to the next logical and creative step, the creation of his own music and record label.Osheen currently has numerous remix and original releases on major and independent record labels.